Teaching others to hoop is rewarding, supportive and creative. It takes passion and focus. But, if you try to do it on your own it takes work and often far too much hustle. That is exactly why Hoop Love Coach Training was created. You get the support and guidance you need to become the best hoop teacher that you can be and grow the community you desire to sustain this playful and creativity packed career path. The HOOP LOVE COACH training is the most comprehensive, practical, affordable and love-filled training available. It is the foundation for becoming a powerful, effective, and inspirational hoop dance teacher. 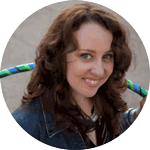 Developed by HOOPLOVERS founder Deanne Love, it is filled with every insight, practical example, move and strategy she has cultivated while sharing the benefits of hoop dance with beginners and beyond around the world. It is designed to prepare you to teach hoop, build community, and gather abundance. 100 Beginners & Beyond video lessons including on body, off body, transitions and twins tricks with troubleshooting and teaching tips for each lesson. These will not only help you to improve your own hooping skills but will guide you to be ready to confidently teach all of these hoop skills. Certificate of completion. Upon completion of your Hoop Love Coach Training online course you will receive a certificate of completion to use when applying for gigs, at studios or online. Access to Hoop Love Coach group forum. Endless support. Get the support you need from hundreds of Hoop Love Coaches around the world. Daily discussions, feedback and ideas flow through this very active and positive group. This is one of the greatest benefits of completing the course, having the continued support as you go out and launch your lifestyle as a hoop teacher. This is a module that Hoop Teachers come back to time and time again. We set the solid foundation for the unique offerings that you are going to be sharing as a hoop teacher. We create your brand, your message and your vision for the future. Learn how to craft irresistible offerings, to get noticed and stand out from the crowd. Get to know who you are, define your unique offering, and learn how to turn that into gold. 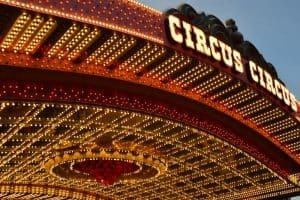 You will start this module by downloading the 100 Tricks Checklist, this will act as a guide as you progress with your own hooping and master the teaching techniques for each trick and transition. This mega module also includes over 100 teacher training videos that will support you to be a confident and successful teacher. Each video lesson breaks down the trick, how to teach it plus other fun tips for playful and successful teaching of each trick. Each video includes valuable trouble shooting tips to help you to support a variety of hoop students. You will also learn how to teach hoop dance technique and will get extra training on effective teaching. This module with take you from a teacher who knows how to break down moves and teach them safely, to a teacher who understands how to support their student’s to explore a full range of hoop dance flow through Flow Sessions (choreography) You will get training on the art of breaking down Flow Sessions and how to teach them in your classes. Bring the dance into the hoop and the hoop into the dance. Tap into successful ways to ignite creativity and hoop dance flow with hoopers of all abilities. Learn unique sequences as hoopspiration for your own teaching creativity. You will receive 40 unique Flow Session videos made especially for this training. Each Flow Session will be demonstrated for you and then you will get the guidance to teach that flow session effectively in your class. 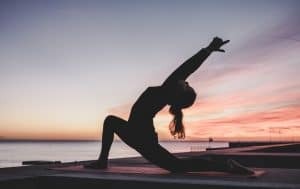 You can use these Flow Sessions for beginners to well beyond, for fitness, fun or as movement therapy. You also receive a checklist of all tricks used in the Flow Sessions. 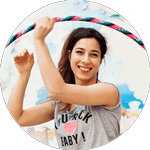 In this module your will be guided through the process of planning and teaching a variety of hoop classes. You will receive 8 lesson examples on video, 8 written class plans, 8 playlists. You will be guided to create your own specialty workshop and given a video example of one with a written workshop plan. Extra bonuses in this module include “Extra class ideas” safe warm ups and cool downs and a downloadable hoop class planner. 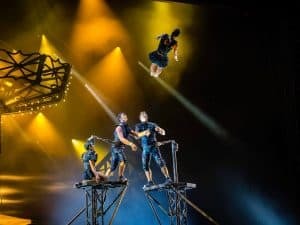 Develop unique and creative classes/workshops/parties that allow your students to shine and everyone to have a fabulous time. Feel confident with easy-to-use planning tools and a ton of class ideas. Watch complete video examples of an 8 week class series, a speciality workshop/party and extra class ideas. Be guided to craft your own hoop dance classes and parties. Teaching is an art, one that takes time, planning and expertise to master. In this module you will be given the tools for fabulous facilitation and how to support the diverse range of students who will come to learn hoop dance with you. Be of valuable service to your community by facilitating, supporting, guiding physical, emotional and connected growth. Understand the fine art of fabulous facilitation and how to support diversity in all of your offerings. In this module, you will learn how to make hoops, the equipment and mathematics that is required. We will also explore how to price your hoops and where to sell them. Hooplovers has teamed up with Hoopologie and you will have access, as a Hoop Love Coach to discount on Hoopologie hoop making supplies and kits. Learn the tricks of the hoop-making and selling trade. Find out where to get supplies or class hoops and grab some discounts. In this module we get strategic about how you are going to create connections and attract income as a hoop teacher and business owner. Learn how to create overflowing abundance by making connections, valuing your service, pricing your products, and mapping out a focussed plan for success. 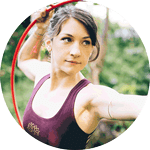 This is a jam-packed module of supportive resources to help you feel prepared and save time so that you can really focus on hooping and teaching. Downloadable templates in this module include done for you email content, class punch cards, planning sheets, hoop order templates and links to valuable resources and support. In this module, we get strategic about how you are going to create connections and attract income as a hoop teacher and business owner. I utterly cherish the gifts and learnings I’ve gained from this course! 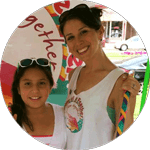 With helpful business development and marketing tips, creative lesson ideas and teaching methods, and boundless amounts of encouragement and support, it feels like Deanne and Masao are right there cheering you on every step of the way to becoming an authentic and the best hoop dance teacher that you can become! I start the classes on July 14th and I am so excited and happily overwhelmed! LIKE AHHH! I am going to be teaching a hoop class, in a designated space, in my own community! Thank you Deanne Love for all of your awesomeness through out this course, and thank you ladies for all of your support! A few months ago this wouldn’t have even been on my radar…and now the universe just keeps surprising me with more and more hoopy goodness! Hoop Love Coaching has totally transformed my whole life. I am so grateful that the universe delivered a sparkling Hooplovers email to me at just the perfect time. A year ago I was drifting between odd jobs, and now my calendar is full of workshops, classes, and events. I always knew what I wanted, but since discovering Deanne’s program I have been given the tools, and therefore the confidence to follow my dreams and make them a reality. I am so blessed to have the opportunity and support to share my hoop love with EVERYONE!! Thank You Hooplovers! The Hoop Love Coach training is exactly what I was looking for. Before I started this training I felt lost and was lacking focus and confidence in all aspects of my hoop teaching and training. The Hoop Love Coach training covered not only class dynamics but the whole buisnsess aspect too. There wasn’t a stone left unturned. It covers it all. Thru this program I gained the confidence I needed, as well as the tools I needed in my class and buisness. Deanne Love is a remarkable teacher and mentor who is personable, with a contagious personality. I am so grateful to her and also grateful that I took the leap of faith and landed as a Hoop Love Coach. I am feeling so encouraged and excited. I have a whole new blast of confidence when I’m teaching. I love the structure my classes have now with a more defined warm up and cool down. I’m getting great feed back from my students regarding the fun combos and flow sessions. People are excited to hear that I am “HoopLoveCoach” certified and I feel honored to be so. The Hoop Love Coach training is a unique experience. It gives you all the tools you need to become a great hooper, an amazing hoop teacher and a self confident person. It makes you see hoop dance as a way of everyday life and helps you communicate the best part of yourself with your students and the hoop community. It is a gift to yourself that makes you realize that the right time is now! Very few jobs on the planet provide personal motivation and joy while empowering and inspiring others to live playful and vibrant lives. Every time you share a hoop class, event, or workshop, you will be making great changes in the lives of so many. Give yourself the precious gift of time. As a hoop dance teacher you decide your schedule and “work” as little or as much as you desire. You are entering into a lucrative market. As a specialist in this niche industry you hold the power. Watch as your abundance, sense of community and meaningful connections soar. Hoop Love Coach training is completely online. You can download or stream any of the content. Hoop Love Coach training is an 8 week course however you have 12 weeks to complete all of the modules to get your completion certificate. You will be supported along this process however you can choose to take it at your own pace. When you sign up for the HOOP LOVE COACH training you will automatically have access to a preparation package. The preparation package will give you all the details you need to know about getting ready for the course. Once the training begins you will have access to all content including posts, videos, and downloads. For 8 weeks you will receive a weekly guidance email helping you through your Hoop Love Coach training. After that 8 weeks you will have some time to complete your Hoop Love Coach training modules. This course has been developed in such a way that you will progress through the modules and go from strength to strength with your personal and professional evolution. You will have support along the way and access to all content after the 12 weeks is over. How long do I have to complete the Hoop Love Coach training? You have 12 weeks from your start date to complete your Hoop Love Coach training. The first 8 weeks will be guided training step by step. After the first 8 weeks you will have a further 4 weeks to complete the modules. Upon completion of the training you will receive your Hoop Love Coach certificate and access to future support. I have not been hooping for very long but I really enjoy it. Do you think I should take the Hoop Love Coach training? Teaching and sharing is a great way to help you grow as a hooper. However it is advised that you have hooped before, know some foundation moves and have a desire to share hooping. In the Hoop Love Coach Training, you will have access to learning all foundation moves and transitions as well as Flow Sessions. It is likely that you will be teaching beginner hoopers to start with and offering the skills that are your strengths. Teaching hoop dance is more than just showing people how to do tricks. Hooplovers classes include dance warm-ups, fun activities, tricks, transitions, flow sequences, playtime and cooldowns. These are all mapped out in the training but are also open for you to add your unique twist. I am already teaching hoop dance in my community. How will this help me? 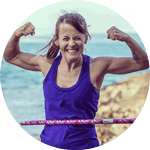 This course has not only been packed with the powerful learnings from Deanne’s 15 years as an educator, her marketing and business superpowers, and her hoop dance passion, but it is created to provoke change, evolution, and personal growth. Do you need certification to teach hoop dance? Hoop Love Coach training has been designed as more than just a certification course. 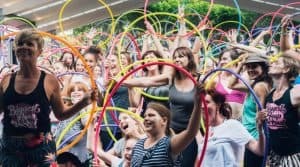 You will be guided to explore your unique offering, mentored to build your own confidence, supported to offer the highest level of facilitation and hoop teaching to a diverse range of hoopers. 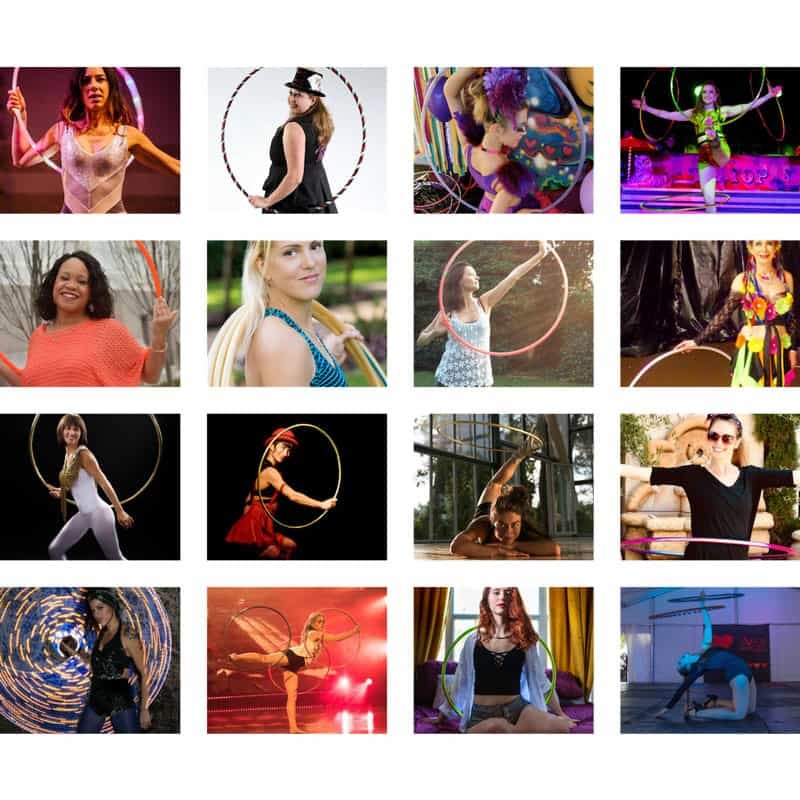 In addition, you will be connected to the most supportive, positive and conscious circle of hoop teachers ready to share business and teaching support! This training provides a certificate upon completion, but you are not required to pay extra licensing fees or pay to have your name on our website. We are excited to promote you as much as we can. We want to see you succeed. In short, no you don’t need a piece of paper to teach hoop dance. You will need support, guidance, a source of creativity, inspiration and like-minded support. You may require other certification such as first aid, insurance, and fitness training, depending on where you choose to teach and share. What if I cannot finish the course in 12 weeks? You will be added to the Hoop Love Coach forum where you can ask and answer questions, get feedback and support. There is also an optional extra to book in for one on one support calls with Deanne Love. Can you guarantee that I will get a job teaching hoop dance after completing this training? No, there are no guarantees in life, but this training has been carefully crafted to provide a detailed action plan for your success. Once you have completed the training you can set your own schedule, agreement and work as an independent contractor or set up your own classes. We make no guarantees about the income or abundance that you will receive after completing this training. However, we can say that if you follow through with all of the assignments and tasks it is highly possible to not only cover the cost of your course in a very short time period (maybe even one workshop!!) but completely exceed that goal. This is just one of many examples and earnings can be lower or much higher than this. There are various models laid out in this training for you to try out. You will find the one that suits your lifestyle, schedule and profit goals. Marketing is key and we highly recommend that if you need powerful support to get yourself out there and market your classes for success that you enroll in “30 Days to More Students” as an added push. If you have any further questions, feel free to get in touch with us! We are here to help!